A busy professional life and a hectic personal life may leave little time for reflection. But taking the time to think about our own thinking can be a worthwhile exercise. From a coaching perspective, I approach many of the challenges my clients want to work on by asking them how they think about the challenge, long before we look at how they might overcome it. I encourage them to listen to their ‘self-talk’ – the inner voice we all have when going through life. This self-talk can be helpful, when we encourage ourselves to go the extra mile to get a piece of work finished or to a higher standard. It can sound like an inner coach, supporting us and congratulating us. But our self-talk can also be unhelpful – when we ‘beat ourselves up’ mentally when we miss a deadline or have an argument with someone we love. We’ve probably all heard our inner critic from time to time. Paying attention to this self-talk can help us get more in touch with where our emotions come from, as well as highlighting our assumptions and what psychologists call ‘thinking errors’. This is the collective term for the unhelpful mental shortcuts we take. When we overemphasise the negative aspects of a situation (e.g. “What a disaster!”) and when we assume we can tell what’s going to happen in the future (e.g. “This will never work – what’s the point of trying?”). We all experience these thinking errors from time to time, as it’s a function of how our brains work. Many of the mental shortcuts we rely on simply help us get through life each day and avoid consciously processing huge amounts of information. We generalise from one situation to another, make instant evaluations about strangers we meet and assume that rules from one place apply in another. But this efficiency can also work against us when the thinking becomes rule-based or rigid, and when it deviates from logic and evidence. If we make important decisions based on these thinking errors, we run the risk of avoiding important life experiences, damaging our relationships and holding ourselves back from success and happiness. Assumptions about a colleague’s motivations, predicting failures in our future and being overly harsh on our own performance. All examples of how we can hold ourselves back and upset ourselves. 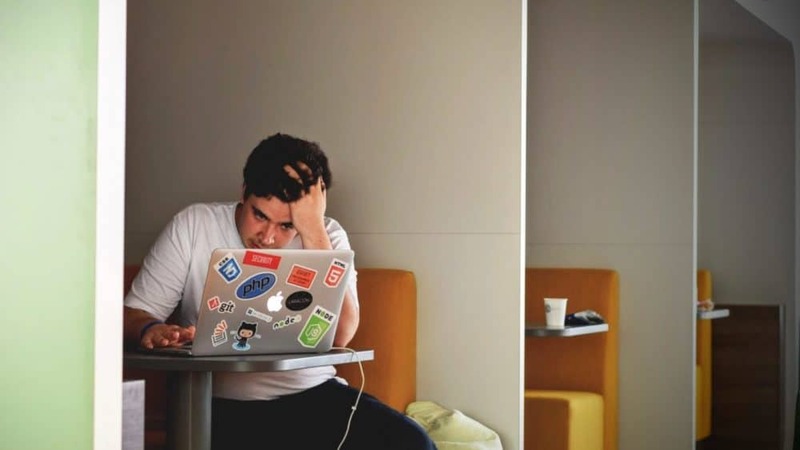 In this new series of blog posts, we’ll explore these thinking errors and illustrate what we can do to notice them and minimise their impact on our happiness and effectiveness, both at work and in life more broadly. But as a starting point, have a listen to your self-talk today and consider how helpful it is to you. Are you making decisions based on firm predictions about the future? Are you convincing yourself to put off something important? Do you really believe you can tell what’s going on in your colleague’s mind? In your evaluation of a difficult situation, are you basically ‘winding yourself up’? Next time, we’ll look at a very common and frustrating example of thinking errors: procrastination. When we procrastinate, we can sabotage our own effectiveness by delaying or putting off important decisions or tasks without good reason. Something we can probably all identify with from time to time!